Local municipalities of Cesena, Milan, Comacchio and Bagnacavallo, along with Anusca (Associazione Nazionale Ufficiali di Stato Civile e d'Anagrafe), the Centro Nazionale Trapianti and the Istituto Poligrafico and Zecca dello Stato, chose the personalized video solution from Doxee Pvideo® to ensure that customers whose existing Identity cards were nearing expiration, were informed of the changes and new information required for the new electronic identity card (EIC) well in advance. 31% of citizens booked an appointment directly in the video. Your customers are not numbers, they ’re people. Doxee iX, Pvideo, and Pweb products can improve the customer's perception of your company and your products. 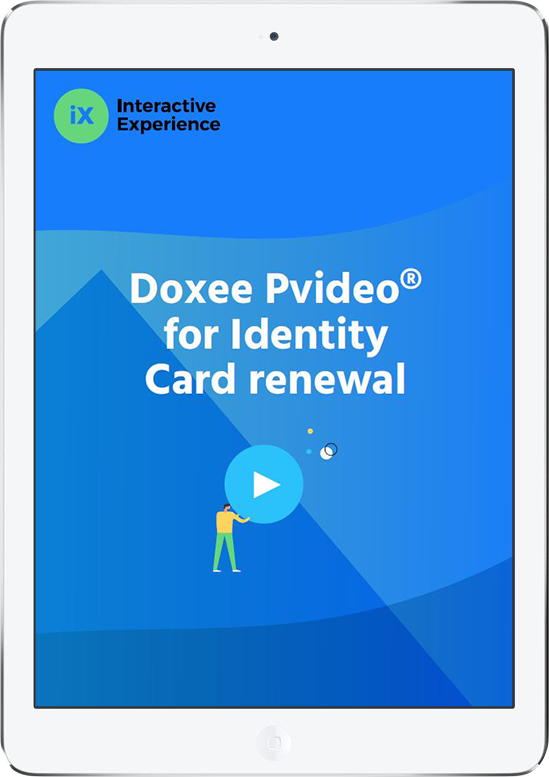 Thanks to personalized and engaging videos by Doxee Pvideo® and Pweb's interactive micro-websites based on HTML5, we’ll help you explain and convey complex content in a clear and effective way.